A little while ago, I asked friends for books other resources about the connection between trauma and muscle pain. Here’s what you came up with! I added links to each title, and a few descriptions. Thanks so much for your collective wisdom and expertise. I’m going to start to reading through these. My own journey to healing from childhood trauma has been a long one. Talking and processing past experiences is incredibly helpful for producing insight and taking control of your reactions towards life. But talking isn’t everything. Healing is an energetic activity. I’ve found, recently, that exercise, I’m hopeful that learning a bit more about the role of the body – in storing trauma and postponing traumatic experiences until we are ready to handle them – will help. 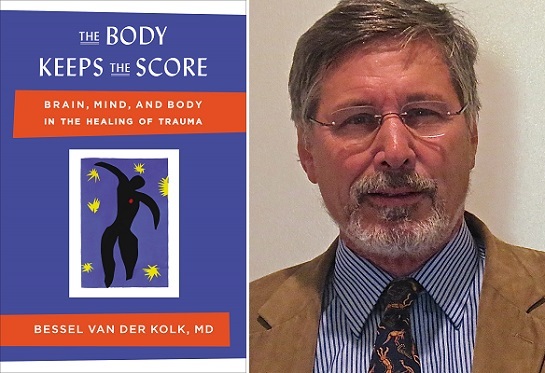 The Body Keeps the Score by Bessel van der Kolk This was the most mentioned and most recommended. The Body Never Lies: The Lingering Effects of Hurtful Parenting by Alice Miller. Using the experiences of her patients along with the biographical stories of literary giants such as Virginia Woolf, Franz Kafka, and Marcel Proust, Miller shows how a child’s humiliation, impotence, and bottled rage will manifest itself as adult illness―be it cancer, stroke, or other debilitating diseases. Complex PTSD by Pete Walker. Waking the Tiger: Healing Trauma Book by Peter A. Levine It views the human animal as a unique being, endowed with an instinctual capacity. It asks and answers an intriguing question: why are animals in the wild, though threatened routinely, rarely traumatized? By understanding the dynamics that make wild animals virtually immune to traumatic symptoms, the mystery of human trauma is revealed. Splankna — A practice of healing body work that is intentionally rooted in a Christian worldview. Sort of a reclaiming of energy work from the new age camp. Worth looking into.